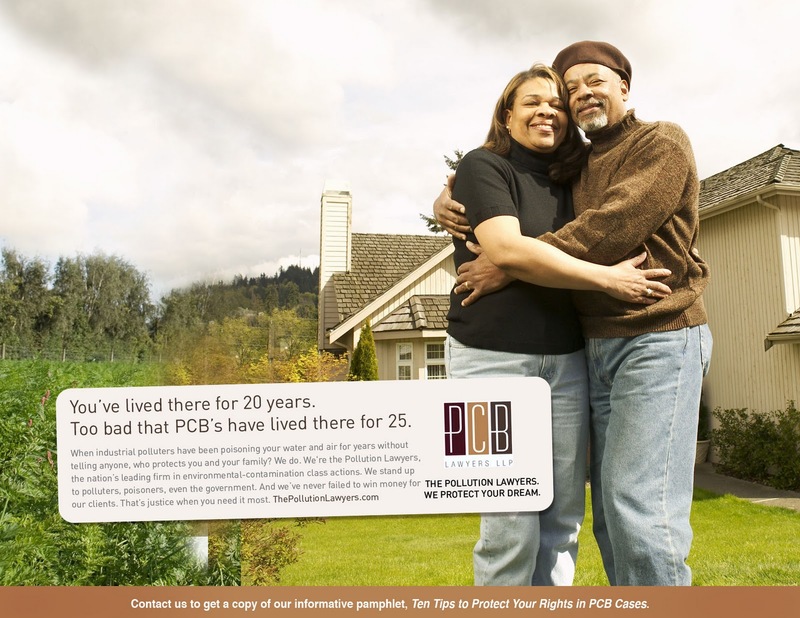 Ross's Law Marketing Blog: Possibly the best lawyers we've ever worked for. Possibly the best lawyers we've ever worked for. Imagine you’re at home when you get an official-looking letter from the government telling you that your home’s tap water just might be poisonous. The water you’ve been drinking. And cooking your spaghetti in. And bathing your children in. And actually, it’s been toxic for maybe 20 years, and your own government knew about it, but never told you. 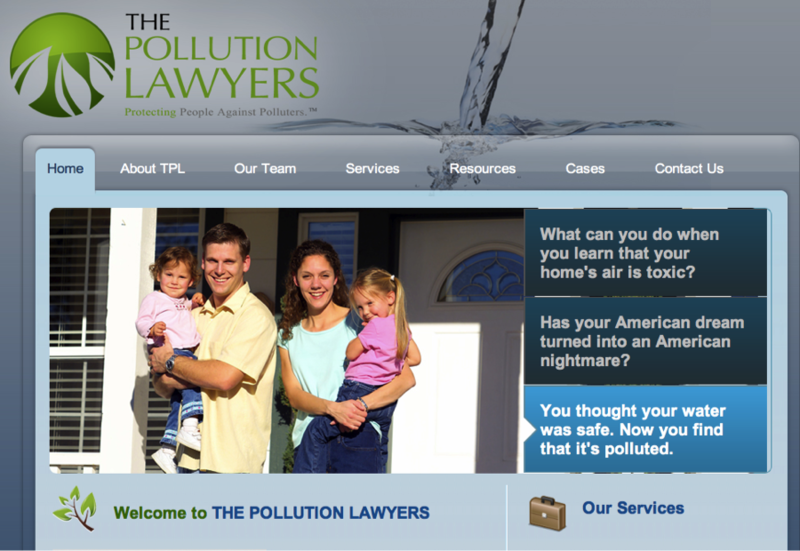 We’ve represented hundreds of law firms over the years of every conceivable descriptions, but I can’t think of any we’ve felt better about helping than The Pollution Lawyers. These guys are white knights representing the poor and underprivileged whose homes, schools, or neighborhoods have been polluted by some mysterious toxin in the air or groundwater. 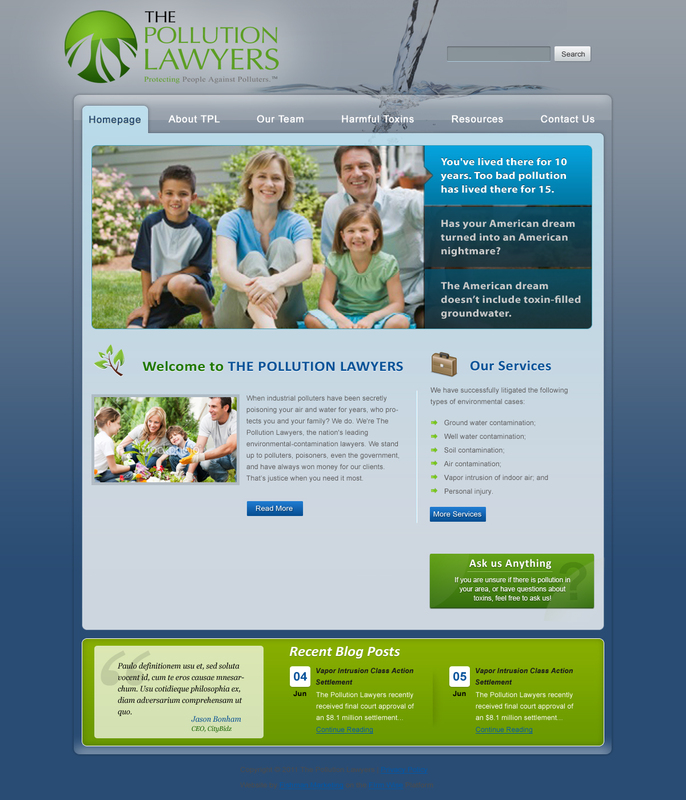 They are a dynamic team of lawyers from two different firms (The Collins Law Firm and Varga Berger) who work together on these Erin Brockovich-style “environmental contamination” cases. They handle cases where entire neighborhoods have toxic chemicals like benzene or TCEs in their drinking water, often silently poisoning the local families for years or decades. When the polluting company up the street or local leaking landfill denies that it’s a problem, minimizes the health impact, or seeks to cover it up, and the neighbors' own government doesn't protect them, these lawyers represent the families, on contingency. They force the big corporate polluters to fix the problems they caused, and pay money damages to the homeowners for the lost value of their property. They help some with the personal injury cases too. And they’re doing it for the right reason, not for the money, but to protect the weak and powerless. We’re honored to be able to help them help their clients. Sometimes the mere threat of bringing The Pollution Lawyers (TPL) into the case forces the local EPA or equivalent to finally do the right thing. We like to think that every time that happens, we had just a little part of it. One of the draft ad concepts. In this branding overhaul, we gave them the TPL name, developed their branding message and strategy, designed the visual platform and a couple different targeted ad campaigns. 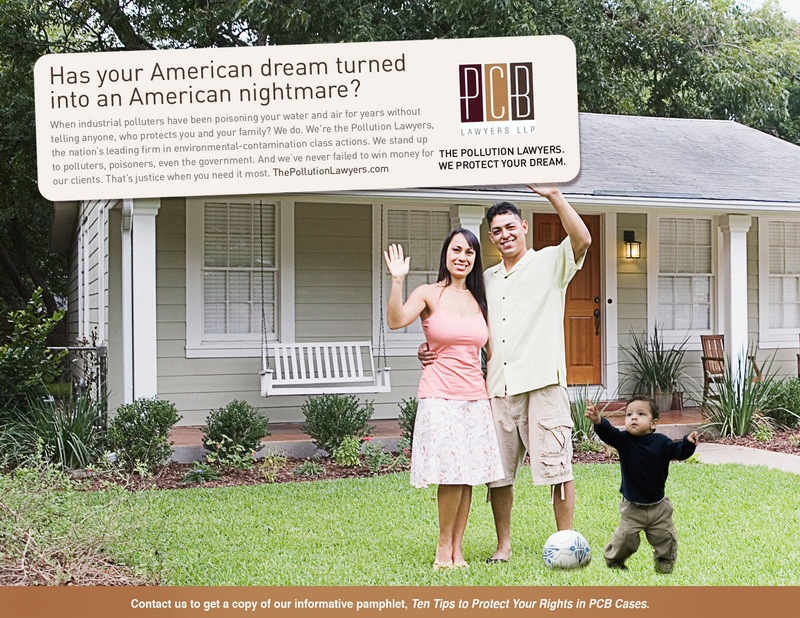 We developed their logo/identity, created both a blog and website, handled their public relations, and developed a business-development strategy to get them into social-media conversations with the aggrieved homeowners. Sure, as a marketing firm, it's a win for Fishman Marketing every time one of our law firm clients get hired to handle a big piece of litigation, or prominent corporate transaction, or see their revenues skyrocket. But when Shawn Collins, Norm Berger, Ed Manzke, or Mike Hayes get hired, it means that potentially dozens or hundreds of families won't be breathing polluted air in their own homes or drinking polluted water much longer. Sure, we love all of our clients and value the work that they do. But c’mon, these guys are special. Spread the word. "How neighbors' frustration with Madison-Kipp erupted into major lawsuit." If your firm, big or small, would like a new website, image, or marketing campaign, please give Ross Fishman, CEO of Fishman Marketing a call directly, at +1.847.432.3546.